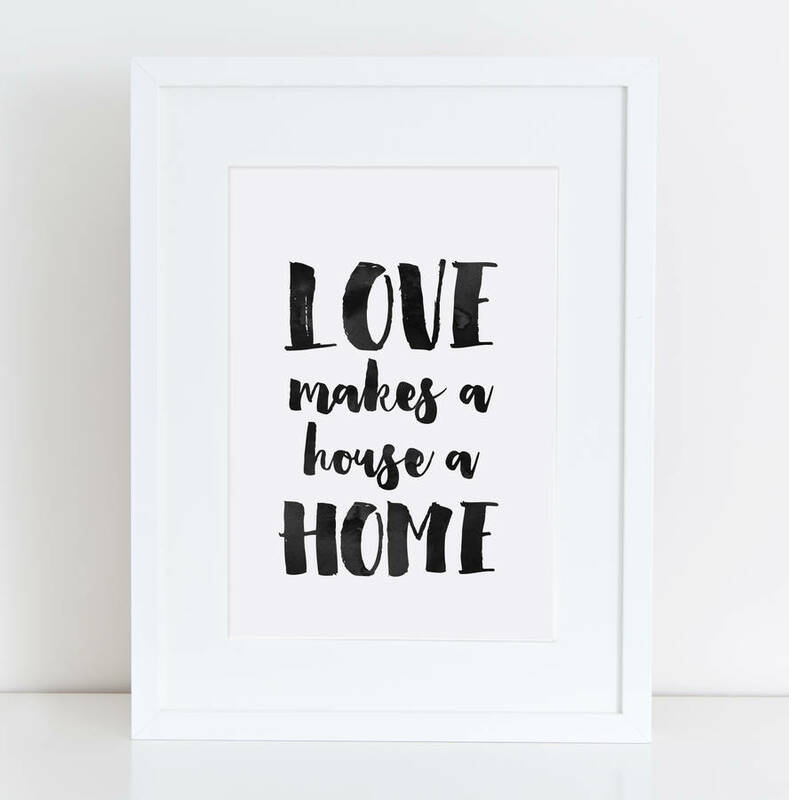 This watercolour effect print makes the perfect housewarming gift! 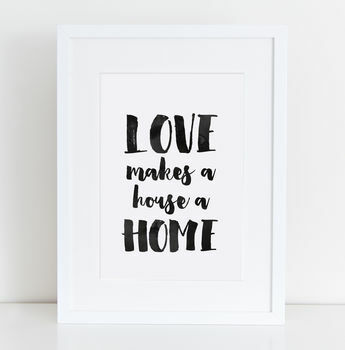 'Love Makes a House a Home' print. This print is the perfect keepsake to give as a wedding or housewarming gift. Print is unframed and will fit an A4 frame or A3 with insert for the A4 sized print and an A3 frame or A2 with mount for the A3 sized print. A4 sized print will be packaged in a clear, cellophane sleve and hard backed envelope for protection. This product is dispatched to you by Here's To Us.